In two ceremonies over a three-day span at the end of last month, four enlisted sailors and one officer received Bronze Star Medals. 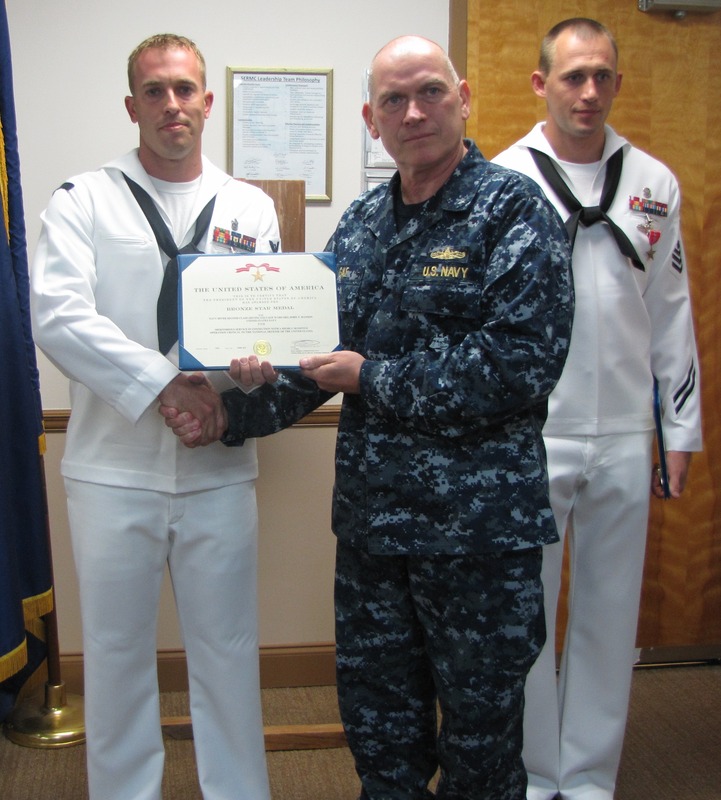 Navy Diver 1st Class (DSW/SW) John Hanson and ND2 (DSW/SW) Robert Klingaman received their honors June 25 at Southeast Regional Maintenance Center in Jacksonville, Fla., according to a Navy release. Both earned the awards while attached to Naval Special Warfare Group 3, for what the release called “a highly sensitive special operation critical to the national defense of the United States.” A spokesperson with SRMC could provide no further details; both men served with the Little Creek, Va.-based SPECWAR detachment from March 2010 to March of this year. Two days later, three more sailors — Lt. Andrew Cassity and Explosive Ordnance Technicians 1st Class (EWS) Jacob Miller and Matthew Wheeler — received Bronze Stars in a Little Creek ceremony that included four other award recipients, according to a Navy release. EOD2 (EWS/AW) Larry Brown earned a Joint Service Commendation Medal. EOD2 (EWS/EXW) Kyle Masur earned a Navy and Marine Corps Commendation Medal with a combat “V” device. 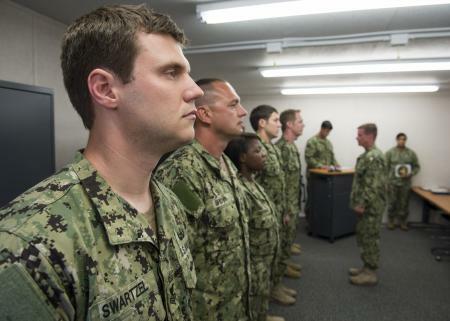 EOD1 (EWS) Daniel Swartzel earned a Navy and Marine Corps Achievement Medal. All seven award recipients from the June 27 ceremony serve with Explosive Ordnance Disposal Mobile Unit 12.